Alternatively, if you are an affiliate marketer or even an aspiring affiliate, then this is a great place to start. The programs offer up some great camping products that you can promote on your own website. Now, how about we get acquainted with each of the programs. In no favorable order, here are the 3 latest affiliate programs in the outdoor and camping niche that we will be talking about today. Would you like to learn more about the products you can promote and the companies behind these wonderful affiliate programs? Hopefully, you’ve answered “Yes“. Because we’ve made this guide especially for you. Don’t worry. If you are craving even more affiliate programs that you can join – we have further links you can explore after the article. 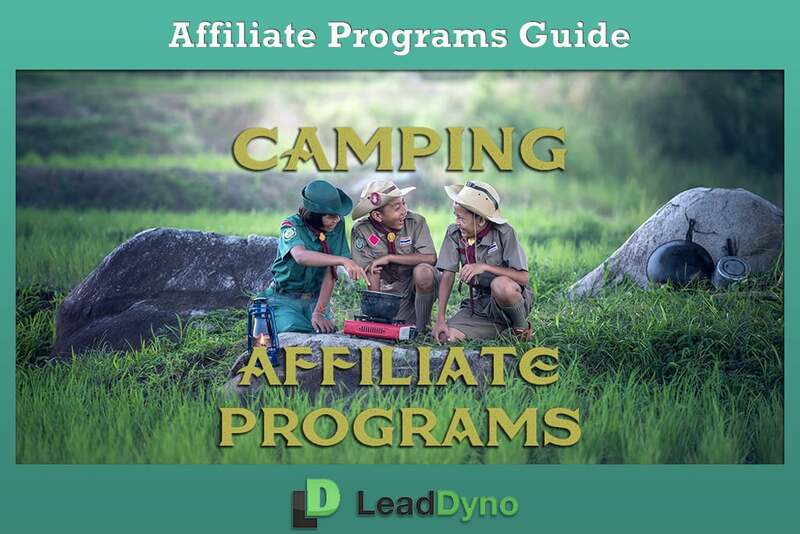 Firstly, let’s have a read about these 3 affiliate programs to satisfy all the camping addicts. Some thrill over the idea of camping. For others, well it’s like living survival scenes from the movie Cast Away. Relax before you get carried away with your anxiety and let CampMaid make your next outdoor experience a pleasure. This kitchen-in-a-bag transforms into a smoker, pizza oven, griddle, grill, steamer, serving stand and more. Hey, this nifty outdoor cooking system will give you reasons to get out. Affiliates earn a commission of 15% on sales. Apply here to become an affiliate of CampMaid. All the enthusiastic campers have something planned for the holidays. I must admit that being away from civilization is a rather exciting thought. That’s until you’re actually away from civilization when the batteries for your lantern run flat and your not-so-clever self didn’t pack extras. All this while your smart camping neighbors make use of solar-powered lanterns and let’s just say that you may or may not feel like a fool. Please save yourself from a camping crisis and get fully equipped from Survival Camping Pro. You’re welcome. Affiliates earn a commission of 10% on sales. Apply here to become an affiliate of Survival Camping Pro. The only thing more amazing than doing your favorite outdoor activity is doing it with your partner. Life is so amazing if your significant other also love to go out camping or fishing with you. If you and your person are partners in crime in outdoor fun, you need to check out He She Gift Shop. You’ll both find awesome gear for yoga, camping, fishing and so much more. Oh, and you much check out their fun tees – you’ll love them. Apply here to become an affiliate of 25% on sales. Apply here to become an affiliate of He She Gift Shop. As always, we don’t just end things there. If you are in the mood to browse even more camping related affiliate programs, then jet over to our merchant directory. The other option is to visit some of our previous blog posts. We will link you to a couple of affiliate guides in the outdoor and recreation niches.